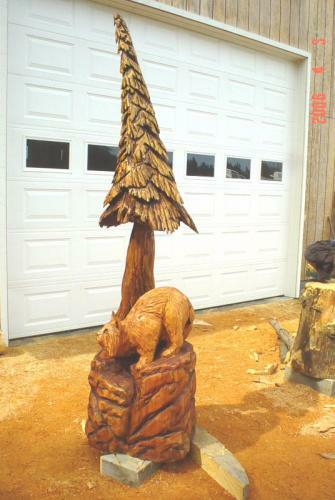 This bobcat and tree chainsaw-carved art sculpture is approximately 7 feet tall. It has several coats of antique staining on it to accentuate many of the details. It was a fantastic addition to Eric's collection and was highly popular until a happy customer took it home last summer. 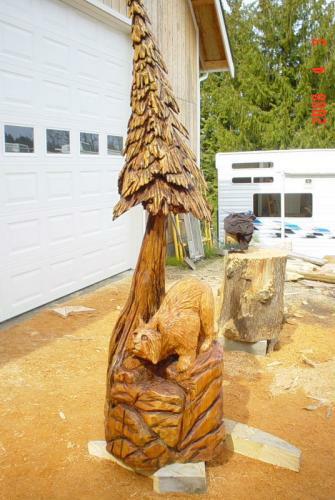 Side view of bobcat chainsaw art sculpture.